Delivering high standards of design management and installation for new refurbishment projects, our team ensure your requirements are delivered on time and within budget. 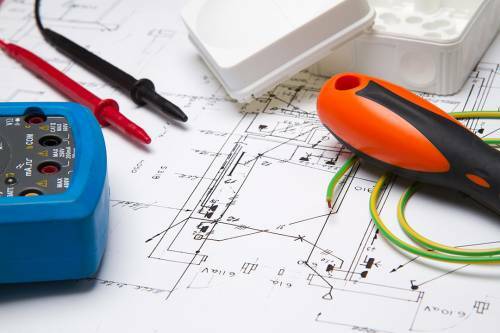 We carry out full electrical installation work on a range of projects, whether as part of a nationwide retail refit, office refurbishment programme or hospital upgrade. This starts with a site visit, full inspection and quotation to plan, install and commission the works. At every stage of the electrical installation project, our customers are kept fully informed to ensure both budget and timescales are adhered to. Our electricians work within office hours or arrange an alternative time to suit the business, often working through the night to complete the project. We keep our customers safe and up to date with all legal requirements through EICR (Electrical Installation Condition Reports) in terms of periodic testing for Health & Safety. This includes testing and certification as well as ensuring timely reminders and check-ups, a legal requirement for commercial projects of every five years. We do this for every customer to ensure they are legally compliant and their premises are safe to work in. If you would like to talk to us about electrical installation or to find out more about Electrical Installation Condition Reports for periodic testing, talk to the BCS Electrics team today on 0113 235 0400.